We’re not your grandfather’s print shop, but we might still have some of his presses lying around. 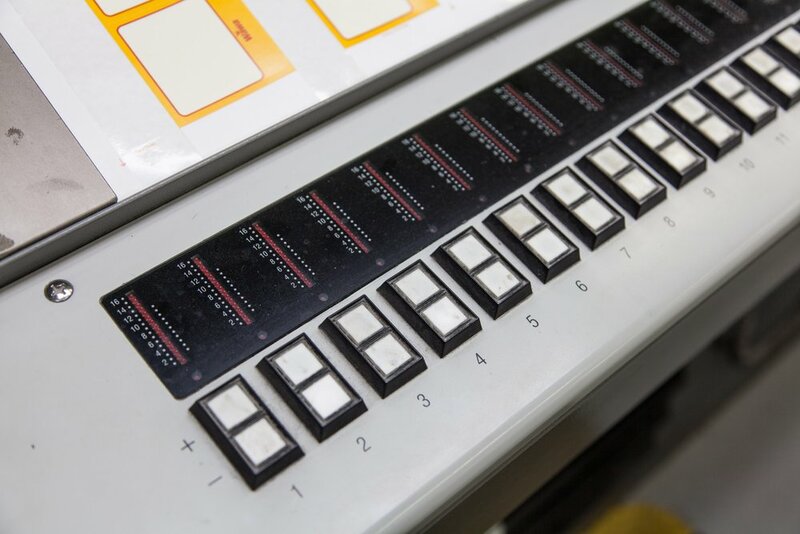 Along with our digital fleet, our offset presses offer unprecedented quality. Offset printing, also called offset lithography, is a method of mass-production printing in which the images on metal plates are transferred to rubber blankets or rollers and then, to the print media. Offset can be used for a wide range of products such as cards, stationery, leaflets, brochures, magazines, and books - It can also be used for packaging such as boxes or cartons. Quality. The main advantage of offset printing is it’s sharp and consistent image quality. The process can be used for small, medium or high-volume jobs. Cost. Offset printing is the cheapest method for producing high quality prints in commercial printing quantities. Options. If you want a special paper, finish unusual printing surface, or unique size - offset printing still offers the most flexibility. Just wanted to let you know that the NACUBO tent cards and HealthTrust slicks were delivered today and looked great!